Facebook’s stock price plummeted by 13 percent during the week of March 19 to 24. On Monday, the 26th, the stock price took another 6 percent nose-dive. Facebook stockholders (CEO Mark Zuckerberg chief among them) have collectively lost tens of billions of dollars as a result. The Federal Trade Commission announced it is opening a non-public investigation to determine whether Facebook violated a consent decree that it signed with the FTC in 2011. That settlement arose from Facebook’s false and misleading statements to the public that their private data was being kept private, while at the same time Facebook changed its byzantine policies and terms of service so that less user data was private. Part of the consent decree requires Facebook to submit to regular audits of it privacy policies and practices for the next 20 years - until 2031! But the company still managed to let one person steal the private data of 50 million. That statement begins with the absurdity, “The claim that this is a data breach is completely false” and gets more surreal from there with each new defiantly self-exculpatory paragraph. Newsflash, Mark: Facebook never deserved the keys to my head and never will! As Mahatma Gandhi famously said, “I will not allow anyone to walk through my mind with their dirty feet,” and Facebook’s are the filthiest of all. Then it provided step-by-step instructions for disconnecting your Facebook account from the Facebook API. That API is the software that handles requests from others’ software for information stored on Facebook’s unimaginably huge data server farm - information about you and 2 billion other users. But cutting yourself out of the API’s realm of influence has profound effects. First, no more data miners disguised as mindless entertaining quizzes, games, and so on. Those apps that people love to share with friends depend upon the API; they cannot touch you if you are not connected to the API. But other parts of Facebook also depend upon the API. I tried Facebook sans API, and Facebook was infinitely more broken than usual. I switched the API back on after six hours of intense frustration. This article from Vox explains in greater detail how the data was extracted from Facebook, and raises questions about whether the "psychographic personality modeling" powers claimed by Cambridge Analytica are science or snake oil. Regardless, it's very troubling that this trove of data collected by Facebook was so easily obtained, and so widely disseminated. This is the devil’s bargain we have made with Zuckerberg: our fleeting, illusory pleasure in exchange for the keys to the buttons that can make us angry, sad, happy, greedy -- or more inclined to vote a certain way. The solution tentatively broached by Tim Cook is to unbundle the pleasure from the peril, to force Facebook (and Google, and Twitter, et. al.) to let users use their services without giving up the keys to their minds, hearts, and souls. This “well crafted” regulation would have to be enforced with utmost rigor and draconian penalties for deliberate evasions. Zuckerberg’s net worth would be no more than yours or mine if every penny of Facebook’s profits were forfeited for a year with each repetition of this sordid, outrageous, disingenuous scandal. Most recent comments on "Had Enough Of Facebook’s Duplicity And Incompetence?" So many people have gotten, and continue to get, into trouble over their social media postings that I wonder why anyone uses it. I've overheard people arguing in the street over Facebook comments and cops routinely bust thousands of people every year for posting self-incriminating pictures or publicly admitting to doing crimes. This latest data breach won't stop people from using Facebook, just like iPhone leaks haven't stopped people from taking compromising selfies. This is a good time for someone to create an alternative to FB. If I was a programmer I would take up the mantle! Facebook got caught. Google, Apple, and Twitter have not yet. There are so many other choices where your privacy is respected. Take a look at https://www.privacytools.io/ for e-mail, on line storage, social media, and many other privacy respecting options. And with cell phones, maybe Bob can talk about Sailfish OS. I am really looking forward to this Linux build for the smart phone. It would be nice to cut the ties with Apple and Google with the smart phones. "...illusory pleasure in exchange for...."
Isn't that what Americans crave the most? TV, movies, video games, drugs . . .now "Social Media". Most Americans are in a catatonic dream state. Hi Bob, Thanks for the timely and informative article. Keep up the good work. Ignore the Russian trolls commenting here. It's shocking how so many people have given up caring about their on-line privacy. When you have a company whose founder began the company by stealing others ideas and concepts, why would you be surprised that he would then steal your data. That being said this whole Cambridge Analytica story is nothing but a smoke screen to hide the far more serious issues with Facebook, Google, YouTube et al. First what Cambridge Analytica did was a small subset of what Facebook itself did for Obama, Clinton and the DNC. Cambridge had access to maybe 50 Million users, Facebook gave the Democrats access to ALL their users and ALL their data and helped with the data analysis. But again, your and my personal data is a horse that left the barn years ago. The real problem with Facebook, Google, YouTube et al is that they are now openly and flagrantly manipulating their users access to content based on their left wing biases. They have demonetized conservative content creators that have millions of followers/viewers and at the same time Facebook has gone from a model that let its Users' desires, likes, follows, etc. to determine the Individual User's content to a top down managed content newsfeed. Where in the past if a User liked and/or followed Breitbart, Drudge, Heritage, Federalist Patriot, Dennis Prager, Hillsdale College, Rush Limbaugh or other conservative viewpoints, his or her newsfeed would populate with the content he or she would have likely sought out themselves. It was weighted by the number of views, likes, followers, etc. and thus the networks that were built were the ones that people tended to prefer. Facebook, Google, YouTube, et al grew at an enormous rate due to at least the appearance that Users were building the Network they wanted. This allowed like minded people to find each other, to share concerns, content and information with others who shared their interests. The principles of Facebook, Google, YouTube et al were among those who really, really disliked the results of the last Presidential Election and have been both subtly tweaking their algorithms to break many of these natural networks, but more maliciously have started to fill peoples newsfeeds with leftist propaganda and worse are actively blocking extremely popular content and limiting its reach on their platforms. They are demonetizing content providers with millions of views and followers, virtually all of whom are conservative. At the same time due to their sending content people do not want, they are forcibly increasing page views for left leaning content by placing it in the newsfeeds of people who have never subscribed to it, followed it or liked it. This is a gross abuse of the implied contract these providers entered into with their users. This is the really scary thing that these exceedingly powerful, monopolistic companies are pursuing. It is a risky move in some ways on their part in that they are actively destroying the things that caused their user bases to grow, but they are now so large (and so profitable) that this risk is mitigated to a large extent by inertia and their very size. Look at Amazon, which for years sold goods at or near (or in some cases below) their delivered costs until they built a User Base so large they could change their model, start charging higher prices, raise margins, reduce service levels and the momentum of their size has allowed them to prosper for the last few years despite a far less attractive User experience. It appears that the very few principles of Facebook, Google, YouTube et al have now decided they can openly manipulate their Users for a period of time (perhaps long enough to effect serious political change) before they are sufficiently impacted by their betrayal of their Users. For so few people to control so much of the information flow to not only the United States but to virtually the entire world and for them to be willing, able and determined to utilize this power despite the negative impact on the popularity of their products should be frightening to anyone who has an open mind. These companies owners are now so wealthy that they can buy virtually any competitor, they control an audience so large that content providers need them far more than they need the content (at least for a while). They are so large that they are now acting with impunity, they are far more powerful than most governments and certainly than any individual politicians. Most of them although technically adroit and relatively ruthless have very little actual wisdom or even knowledge of the larger social contracts that have held our nation together and therefore they have little if any concern for the preservation of the same. I agree wholeheartedly with what Granville Alley said. Well said, couldn't agree more! Have never had any social media account, yet I somehow manage to get through each day. I consider this article a truth that some cannot stand to read. I got off Face Book almost as quickly as I got on it with more reasons than data miners. I really feel bearing your sole to the public a bad idea. As for all the unfortunate minds that see political slander, they are still busy looking the other way and probably always will. Some folks are guiltier of doing nothing in the face of tragic situation than those making some effort to ease the damage. Facebook is not the problem... how did anyone figure Facebook was going to make money, the only commodity it has is your data. Many people think Trump is the problem... he is a known serial liar, what did people expect? Both Facebook and Trump are the problem they are merely symptoms of a deeper disease within our society... its the lack of critical thinking skills. 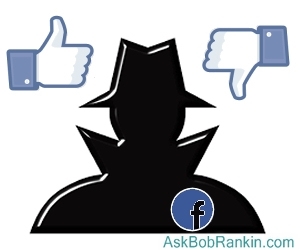 Why is facebook required to protect your information for you ? If you gave the information up freely over the social media internet how could any one expect that to be private ? Selling of preference lists has been going on for ever in the advertising world....same in any political format ....Face Book isn't responsible for me...I am !!! I have avoided Fecebook Whoops! That was a real typo but just too good to correct. Anyway I've never signed up to it and am certainly now vindicated. All along I have been waiting for http://arsebook.co.uk to launch and possibly the window of opportunity has duly arrived. I would highly recommend Trumping Democracy, a one hour documentary outlining the history of Robert Mercer, Cambridge Analytica, and Face Book. Funny how all this is suddenly a problem now that Trump- and Brexit-supporting group(s) were found to be doing it. When Obama- and Clinton-supporting grous did it, in the 2008 through 2016 campaign seasons, the descriptions used were "clever", "tech-savvy", "innovative", and suchlike. If 'progressives' didn't have double standards, they'd have none at all. Why do we need even more government intrusion in our lives? Facebook is voluntary! You are not required to use Facebook nor to make the info you share accurate. We don't need yet another government bureaucracy created to "protect" us. James Horn mentioned Ma Bell. 1st class mail went from .03 to .25 during the same time long distance calls went from $2.50 to .25 so the Justice Department attacked the Bell system. Since we obviously can not do much about the companies harvesting our data, then we the people need to be paid a royalty on that data. Tho as fat lazy Facebook Reading Amazon shopping Google-rs on Bing we will not get off our lazy asses and get the fat lazy tech lobbied congress make it so. We have best representation their money can buy. Doesn't matter if its Democrats or Republicans. If I didn't have Facebook I wouldn't know what my family in another state were up to or my friends overseas. It has been a blessing (most of the time). I could do without the MISINFORMATION POSTS which I keep reporting. If it was that easy to cure cancer then I wouldn't have had that operation. In Australia we have a new boy on the block called NABO which is primarily to connect neighbours. It is great. We can sell on it, warn of robberies, advertise events. Check it out Aussies. Probably not everybody knows that our privacy laws aren't strong and Homeland Security isn't interested to make them stronger at all. The Europeans are much more tough. Best is to leave FB and look for options located in Europe and of course not sharing everything. I never had a FB account because these guys don't respect what I want and that's a no no. If you really need social media look for smaller companies and don't store to much there. Too many well-meaning defenders of Facebook resort to the myth that people with special concerns (disease, political oppression, LGBT issues, unusual hobbies, etc.) need social media like Facebook to connect with each other. In reality, these platforms are not the only way to do that. A simple Internet search can easily help people find others like themselves. The search results will include existing websites, support groups, and especially forums, where their special interest is discussed (anonymously when necessary) and relevant material can be posted. To say that Facebook needs to know about it and be at the center of everything is a little like saying you can no longer suffer the inconvenience of gathering what you need to make a simple meal at home - you must now always eat at a restaurant. But the problem, of course, is that social media is involved not just with what you had for lunch today, but also everything else about you (and every one of your "friends"). You are their product, whether you can see what these unnecessary and invasive middlemen are collecting and selling, or not. Meanwhile, let's not let this topic be yet another excuse to make distracting political rants based on false equivalencies and imagined motivations. Yes, when someone games the system and uses big data to manipulate a gullible electorate, it's extremely consequential. But it's only one example of the ethical problems with Facebook's business model. I find myself intrigued by how this Facebook scandal was once praised for being the new face of Presidential campaigns and now it is a bad thing because it was used by the Trump campaign. I pieced some information from the past together to demonstrate this duplicity. There was no privacy outcry when Barack Obama's 2012 campaign took advantage of an API to ex filtrate information of tens of millions of Facebook users without each voter's knowledge and consent. The Obama campaign started with a list that grew to a million people who had signed into the campaign Web site through Facebook. Carol Davidson called herself responsible for "The Optimizer" and "Narwal. "She added on Linkedin: "Narwhal was a real time scalable data integration and campaign API platform that fused together facts gathered about multiple identities into a single unified profile available to every arm of the campaign." Time.com's report immediately after the election was laudatory. Extracting data from Facebook, it said, "will transform the way campaigns are conducted in the future." It concluded, presciently, that by 2016 the Obama campaign's approach "is almost certain to be the norm." Man!! That Donald Trump has got to be the most powerful force in the universe, while at the same time being the biggest villain. Kinda sound like Déjà vu with George Bush? First it was Russia, and now Facebook. The claim is that it was a complicated web of relationships that tied Trump to this Facebook thing. When will the dems give it up and admit their defeat?